Nessebar is a unique town of beauty and century-old history. The town is located next to Burgas and very often visited by many enthusiastic tourists who are looking for new knowledge and entertainment. Its history makes Nessebar an attractive location for many Bulgarians and foreigners who are willing to see the remnants of an ancient world. It is an interesting fact that even under Ottoman slavery this town used to be an important economic and social center for many native people. The location of the town is an important purpose in an economic plan because of the sea trade which has been active since ancient times. Every patriot must visit Nessebar and especially the Old town. There 42 churches preserved since 4-5 A.D. Some of them have become picture galleries and right now only one of them is still a temple but this isn’t a hindrance for the tourists to enjoy the sanctuaries. Because of its exquisite architecture Nessebar has become an important spot for many artists inspired by the churches, sea and the spirit of the town itself. The big windmill on the entrance of the old town is a symbol of the magic of Nessebar. It stays well preserved for centuries as the town itself. To enjoy the beauty of the resort you should walk all over it which isn’t easy. The smartest choice would be renting a car from irent and this will guarantee comfort and safety. Why should you still freak under the hot sun trying to reach the cool sea when it is much easier to take you iRent car and get to the beach just for a couple of minutes. Make use of our new offers and get many extras for your vehicle just for little cost – GPS navigator and luggage-carrier on the roof of your car. Irent offers also child-seats for kids. Reserve your car online and get to 10% discount and if you want to prolong your period there will be extra rebates about which you can ask our employees. It will take you just a few minutes to order your car online and you can choose the time and location of the pick-up. For our regular and loyal customers we have a special plan for extra discounts. If you like you can also hire a private driver who will take care to transfer you to any destination fast as well as comfortable and respectable to the traffic laws. Our drivers are experienced so you won’t worry about your personal safety. 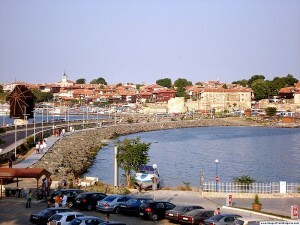 Take our offers now and enjoy a perfect trip to Nessebar. It doesn’t really matter if you are on a holiday or on a business travel you will represent yourselves magnificent with our services.